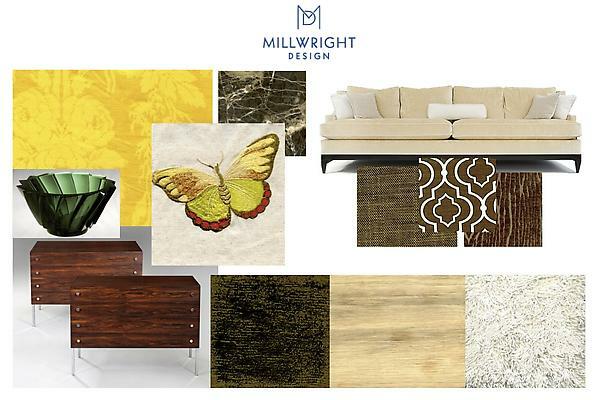 Millwright Design is an interior design studio founded by Joanna Heimbold. We are located in Riverside, CT.
Why Millwright? I've always loved words. Good words, lead to good sentences, which lead to good stories, and good stories keep us listening. Millwright is the name of the trade responsible for assembling the awe inspiring looms of yesteryear. I see LOOMS as the computers of the past. So what drives me, is finding the alchemy of past, present and future. 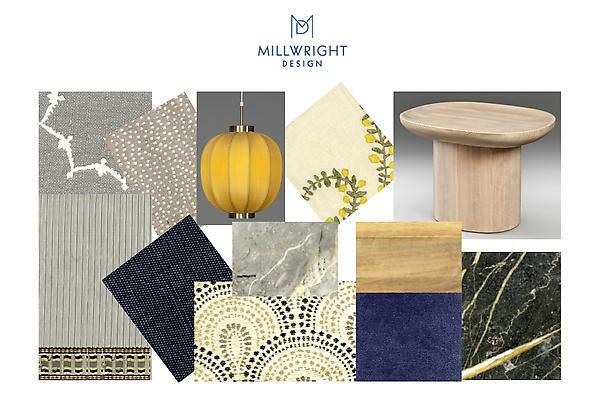 Joanna founded Millwright Design in 2011 after having worked with David Netto in product development and interior design. To date we have been lucky enough to work with clients in fields such as: Arts and Education, the Finance and Beauty Industries, and Leaders in the Retail Sector. Collaborating with clients to fine tune their individual perspective for living is Joanna's prime motivation. She comes to her projects ready to help her clients achieve their artistic vision with a firm grasp on budget and timeline. Because design is all about the way we want to live, and what we want to see, and dream about, as we pass through our day. Spaces are curious things. They define us and welcome us. Most of all, they have the power to comfort, entertain and captivate us....or not. Making rooms, spaces, stores, you name it, is a thoughtful, exacting process. And here's the thing: it takes guts! So building a productive, happy, open communication line with my clients is one of the most important parts of the work I do. The mission at Millwright is to bring to life the spirit of our clients through architecture, light, color, texture and landscape. Let's hear it for thoughtful living and low maintenance products. Let's hear it for luminous aesthetics that embrace elegance and comfort. Let's hear it for living a joyful, healthy, well choreographed life.